In case you&apos;re looking for a reason to drink wine - as if you need a reason, right? - this Saturday is National Drink Wine Day. It&apos;s a perfect time to check out the Mason-Dixon Wine Trail. In fact, we encourage you to keep an eye on our Explore York PA Instagram page for a chance to win tickets to our upcoming Tour de Tanks signature event. Outside of wine, an up-and-coming singer-songwriter returns to her hometown for an awesome Friday night show and Nixon County Park is hosting a special bluebird program Sunday. With a style that&apos;s described as similar to Adele, Norah Jones or Lana Del Ray, singer-songwriter Zoe LaBelle will release her first EP during a Friday night concert at the Strand Capitol Performing Arts Center in Downtown York. It&apos;s a fitting location for LaBelle, a York County native who&apos;s now making waves in the Philadelphia music scene. She was even discovered by Chad Taylor, an original member of rock band Live - which also has its roots in York. Saturday is National Drink Wine Day, which sounds like a holiday we should celebrate every day. To mark the occasion, Thunder Ridge Vineyards will offer free wine tastings and wine specials from noon to 5 p.m. Plus, guests can enjoy brick-oven pizza as they sip on their wine. 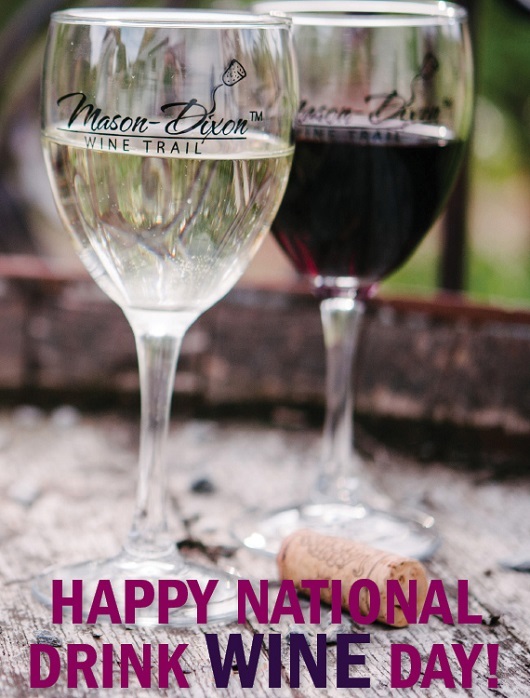 Thunder Ridge Vineyards is just one of 17 wineries on the Mason-Dixon Wine Trail, and National Drink Wine Day is a good excuse to visit a few. This weekend is for the birds - really. Naturalist Kelsey Frey will delve into the fascinating world of the Eastern Bluebird during a Sunday program at Nixon County Park that&apos;s perfect for the kids. Frey will discuss the behaviors of the bluebird, as well as the importance of nesting cavities to the local habitat. After the presentation, guests will even have the chance to build and paint their own bluebird box. It&apos;s $10 to build one, with a limit of two per family. The program runs 2-4 p.m. Call Nixon Park at 717-428-1961or go to www.yorkcountyparks.org to register. Leave some time to take a hike around the park&apos;s trails, then check out the indoor nature center.